LEO Isaac can’t help but look forward to Blackwater’s campaign in the PBA Governors Cup. 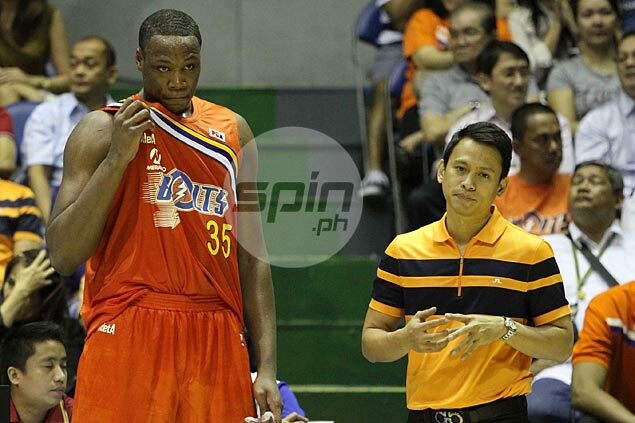 The Elite have tapped former Meralco import Eric Dawson as the team reinforcement for the season-ending tournament - exactly the guy who Isaac feels can help the franchise reach the playoffs for the second straight conference. Dawson is arriving in the country on July 1. “Feeling excited for the third conference,” said Isaac about the prospect of having the 6-foot-9 Dawson man the middle for the Elite. Team manager Jonson Martinez admitted having already reached an agreement with Dawson. Dawson will team up with Asian import Imad Qahwash of Palestine to reinforce a Blackwater side which will still parade mainstays Carlo Lastimosa, Mike Cortez, PJ Erram, and new recruit Roi Sumang. The 31-year-old import suited up for the Bolts during the 2013 Commissioner's Cup, when he helped the team make the quarterfinals before losing to Star Hotshots in the best-of-three series. During the campaign, the native of San Antonio, Texas averaged nearly 30 points, 16 rebounds, 2.82 assists, and 3.12 steals.